Robot-assisted surgery. Surgical team carrying out a Da Vinci robotic surgical operation. The Da Vinci system enables a surgeon to perform a minimally invasive surgery with enhanced vision, precision, dexterity and control. The surgeon controls the system, which translates hand movements into smaller, more precise movements of tiny instruments inside the patient's body. 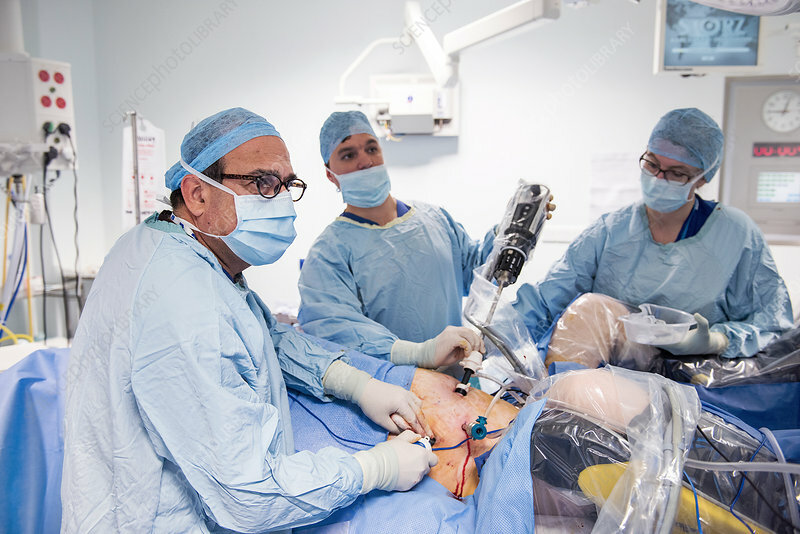 The system being used here is the Da Vinci Robotic Platform at the Churchill Hospital, Oxford, UK. Photographed in 2016.